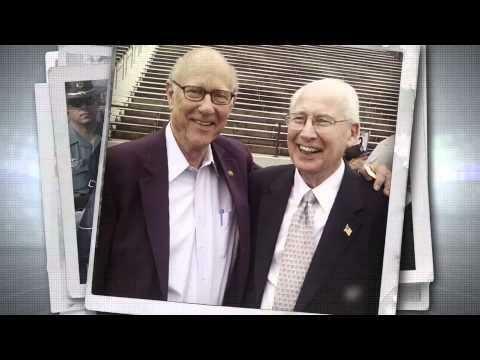 A screenshot from the controversial ad shows Senator Pat Roberts and Kansas State University football coach Bill Snyder. Kansas State University is being drawn into the Senate campaign for Republican Sen. Pat Roberts, despite protests from the university. Longtime K-State Football coach Bill Snyder seems to endorse Roberts in a new campaign ad. The problem? Political endorsements aren't allowed by university policy. K-State president Kirk Schulz says in a memo that the the university talked to Snyder about the video. Snyder told them he was unaware his comments would be used on the campaign and apologized. When asked about a post-game press conference, Snyder says he was embarrassed by the ad. K-State has asked the Roberts campaign to stop running the video. The Roberts campaign dispute that and say they've never received a request to stop the ad and it continues to run. Roberts is facing independent candidate Greg Orman. Bill Snyder is the oldest active coach in major college football and shows no signs of retiring. Snyder will be 78 if he fulfills the 5-year extension he signed to coach the Kansas State Wildcats. There’s a chill in the air, and a forbidding wind is rustling through the trees. But which is scarier—the ghouls and ghosts of Halloween or the campaigning for the midterm election? On Friday's Up to Date, the Political Pundits return to talk about the issues surrounding the close races in Kansas for secretary of state, governor and especially for the U.S. Senate, where a leadership change is a real possibility. Plus, we have a look at the buzz surrounding the Missouri governor’s race of 2016. Tell KCUR: What’s The Most Important Political Race To You In Election 2014? Why? During this election season, are you focusing your voting attention on Congressional seats or local City Council races? Are any Constitutional amendments more significant to you or do you spend your energy following candidates running for state offices? 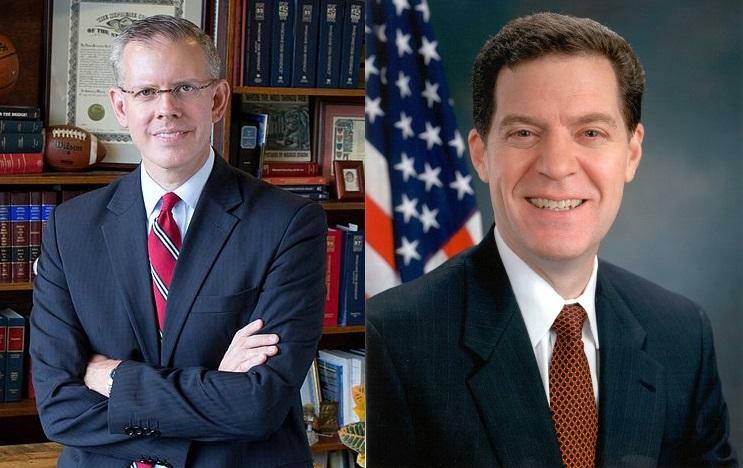 Kansas may be under the national spotlight for its governor’s contest, but we know there are a lot of other candidates and issues at stake on both sides of the state line next week on Election Day.